Wedding food is a key staple of the day. Consider carefully what to feed your wedding guests. A hungry guest will not be impressed! Choosing suitable wedding food can make or break the whole day. Your guests will be with you all day and you need to make sure that they don’t go hungry. But what meal choices are suitable for weddings, and which should you avoid? My own wedding involved feeding our wedding guests until they could barely walk or contemplate any more food. It seemed to be a good strategy – we had lots of positive comments from guests about the food! The time of year can make a big difference to the suitability of certain wedding food types. Plan your meals to cater for the time of year (and expected temperature!) that your wedding will take place in. No-one wants an outside BBQ in January. 2. How many guests do you have coming? Weddings comes in all shapes and sizes. Some are the size of an invading army – and as much as an army marches on its stomach, so does a wedding. Over-catering is much better than running out of food before Grandad has even got his plate. When to serve your wedding breakfast is very important. Don’t wait too long after the ceremony – you don’t want guests to start trying to eat the furniture because they can’t contain their hunger any more! The timing of food is a fine art. Some weddings I’ve been to have thrown all the food they can at you in the space in an hour. Other weddings have taken the food away before I’ve had a chance to sample just one thing. Your guests will tell you when they’re full (or not full, as the case may be). Now, let’s get on to the meat of the matter (or tofu, if that’s what you prefer). 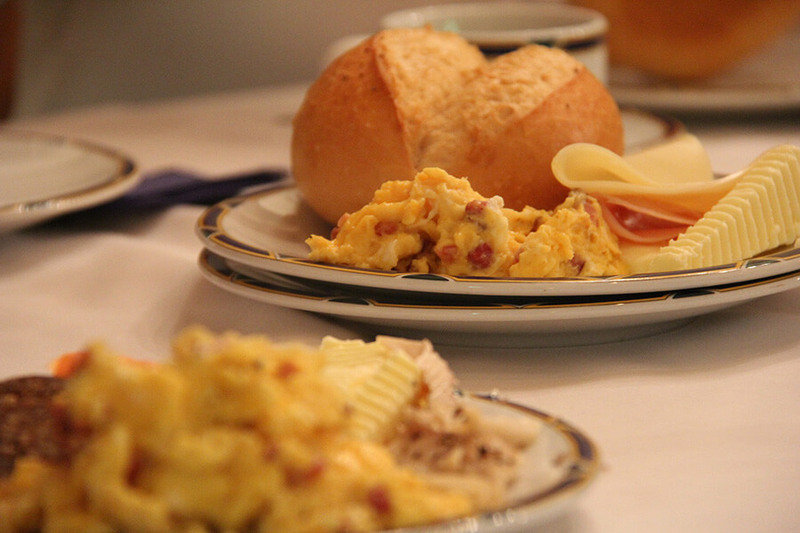 The most popular dining choice for a wedding breakfast is a sit-down three-course meal. The roast dinner is the most popular (and often the safest) with families. If you have the meal pre-served on individual plates, there’ll be no squabbling about who gets the last Yorkshire pudding. Think carefully about your starter and dessert though as that can be season dependant. Choose light soups, salad or pate for hot weather and hearty soups and warm, comforting options for winter. Roast dinners are sure-fire winners with your wedding guests, whatever the time of year. For dessert, fruit crumbles and puddings are perfect for when it’s cold. Lighter dishes such as Eton mess, roulades and lemon possets go beautifully with the summer sunshine. Hog roasts turn your wedding food into the ultimate social occasion. 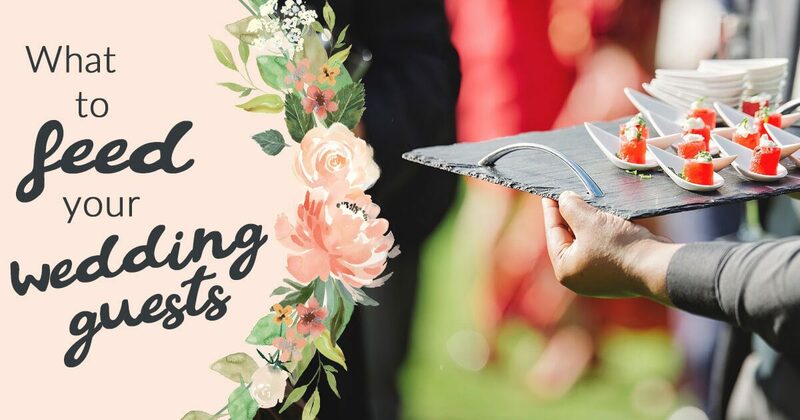 They are fast becoming one of the most popular options for weddings because everyone comes together in a very social way to get their dinner. Essentially it’s a pork roast dinner but with the added experience of the whole pig cooking on a spit that is somewhat mesmerising. Watching the flames jump up and roast the pork is a spectacle for everyone to enjoy (well, maybe apart from vegetarians, fruitarians and generally anyone who doesn’t eat meat). 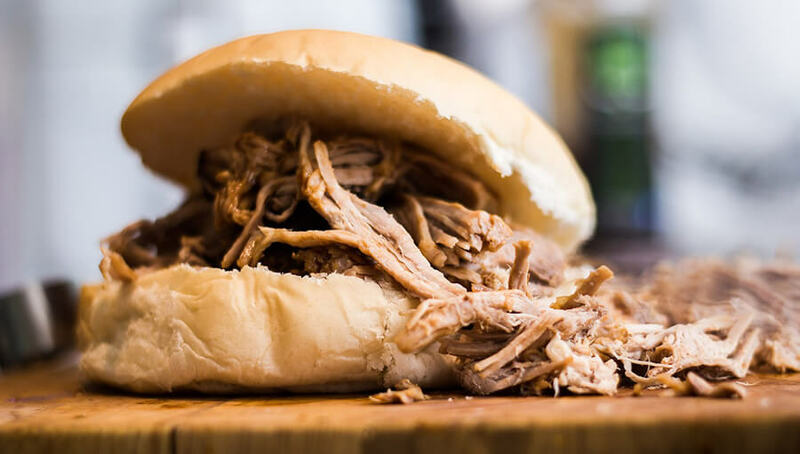 What’s also good about hog roasts and BBQs is that you can mix them in with a sit down meal. So rather than your dinner being brought to your guests, they go and get it themselves. This gives them a chance to mingle a little bit more and also allows them to choose what they eat. Another ‘help yourself’ option but this time the etiquette and formality is gone (which can make them very relaxing and easy-going). With a buffet there is always something for everyone, so there is no reason for someone to go hungry (unless they were too slow getting to the buffet). Plus, you can take multiple runs at the buffet which means everybody can fill up as much as they want to. There is also usually a pudding table which is always a favourite and something that I often find myself visiting multiple times – especially if there is chocolate brownie on offer. Believe it or not, the good old fashioned days of mum and the neighbours cooking for all your guests isn’t in the past. This option is great for family-only weddings, plus who can say no to their mum’s homemade Yorkshire puddings? 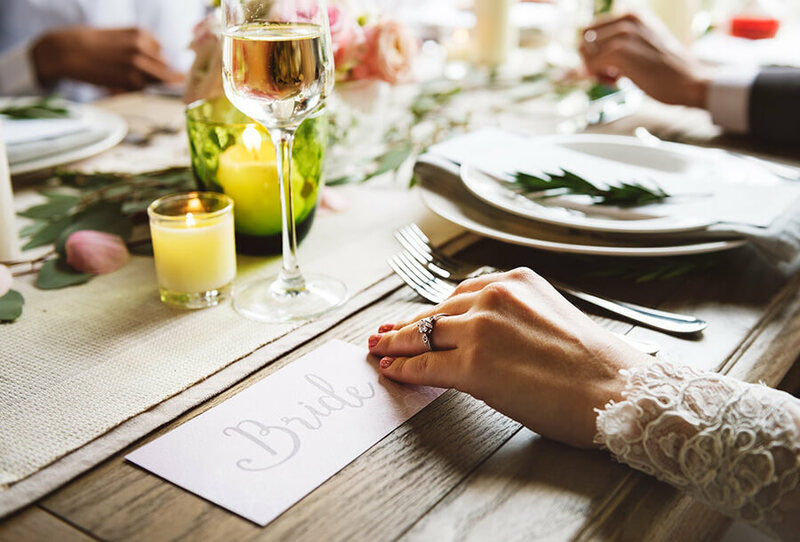 Providing your own food can work out significantly cheaper than hiring caterers, however it does add quite a bit of stress to your wedding preparations. On the morning of your wedding, you probably don’t want to be worrying about cooking up pizzas or whether Doris has remembered the salad. This isn’t really a meal, more something to have on the side to keep those who are a little bit peckish throughout the day satisfied. 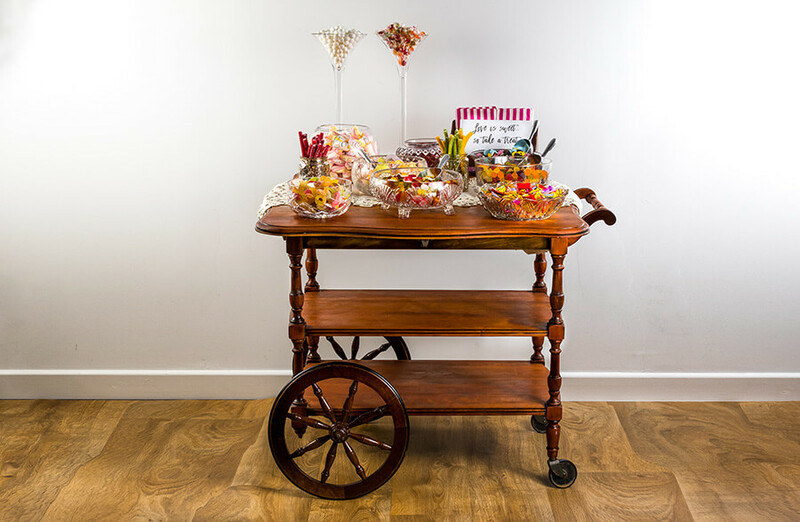 Sweet tables (or Candy Carts) are currently one of the “must have” things to for your wedding. A sweet table is brilliant for both adults and children because of the endless possibilities you can have on them. A nice feature is to have with these is to offer goody bags so people can take some away with them. Just one little thing that will keep them remembering the good time that they have had. Plus, it saves you money on purchasing separate wedding favours to go on the dining tables. What’s the best wedding food to serve? So what do you feed your guests? Well… to put it simply… food. But more than that; it should be quality food. After all, whether it’s great or terrible, your guests will always remember the wedding food that you served. Probably best to aim for the “great” version though! 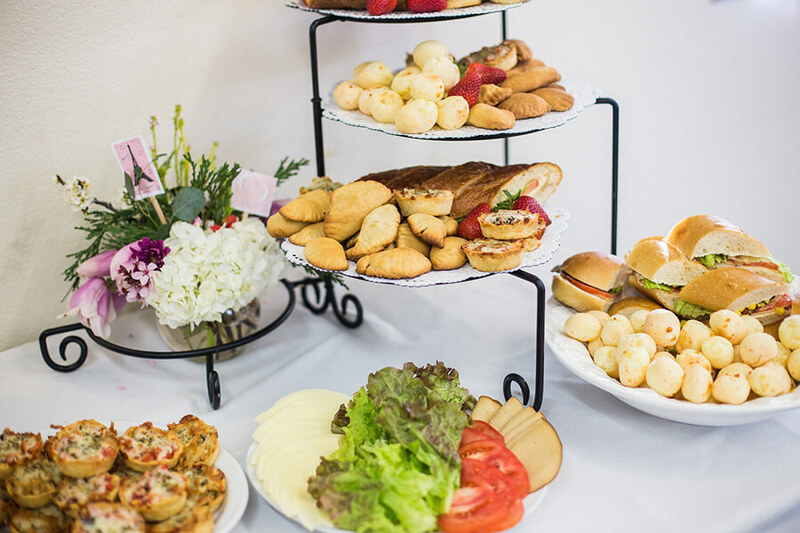 What did you serve your guests for lunch and dinner on your wedding day? 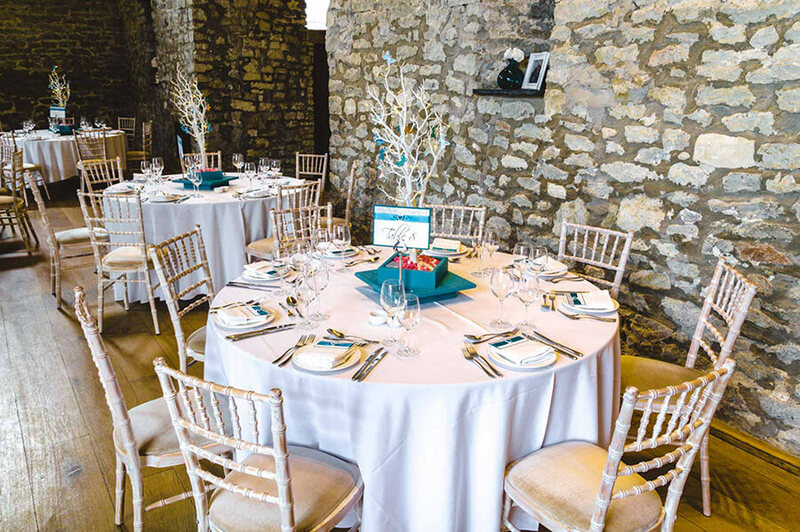 Do you have any catering tips for future brides and grooms? Let us know in the comments below.